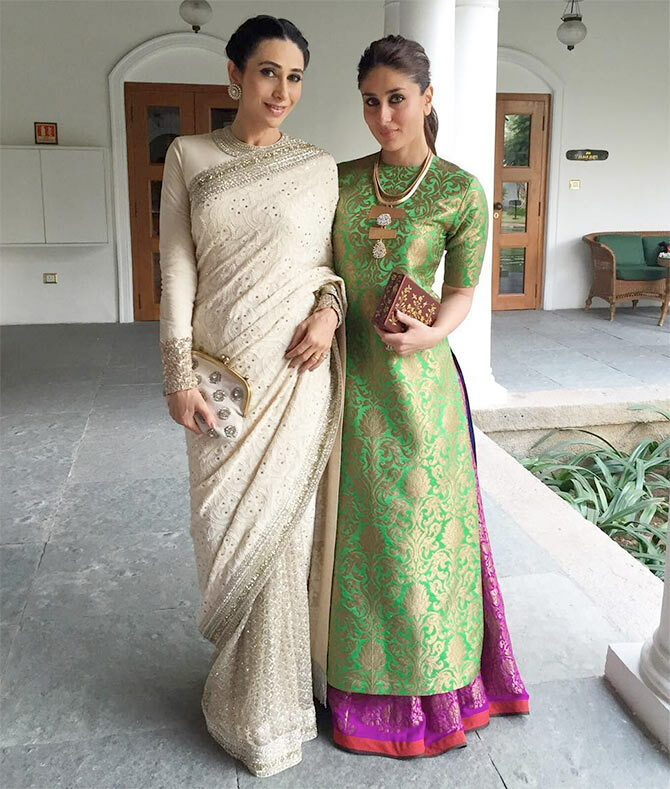 Rediff.com » Movies » Navratri Special: Elli, Freida, Kareena in GREEN! Day Seven of Navratri is here and it's time to go green! From going sporty to total desi, take a look at our ladies in green and learn to put your best put forward fashion wise this festive season. You can look absolutely smashing in a green sari with an orange blouse, like Elli Avram here. 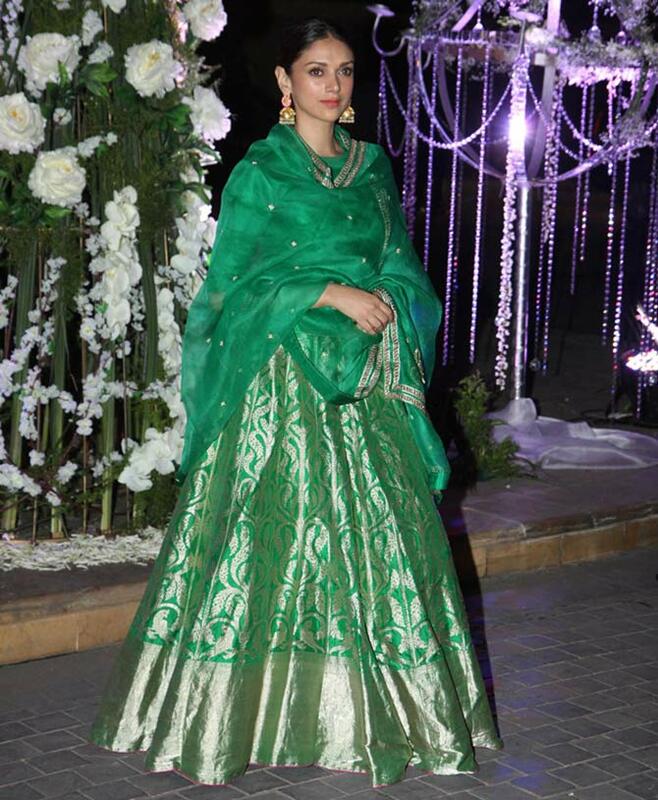 Wear a green silk lehenga and add that old world charm to your look this Navratri like Aditi Rao Hydari. She's wearing a beautiful Sanjay Garg creation. If you want to up the ante, go for a green embellished floral print dress and you're sure to turn heads. That's Freida Pinto looking gorgeous in Burberry. Here's Sonam Kapoor showing us how to make a strong fashion statement with the colour green. Opt for a dark purple anarkali dress and pair it with green dupatta, simple as that! Have some fun with your sari look and go for a funky print. 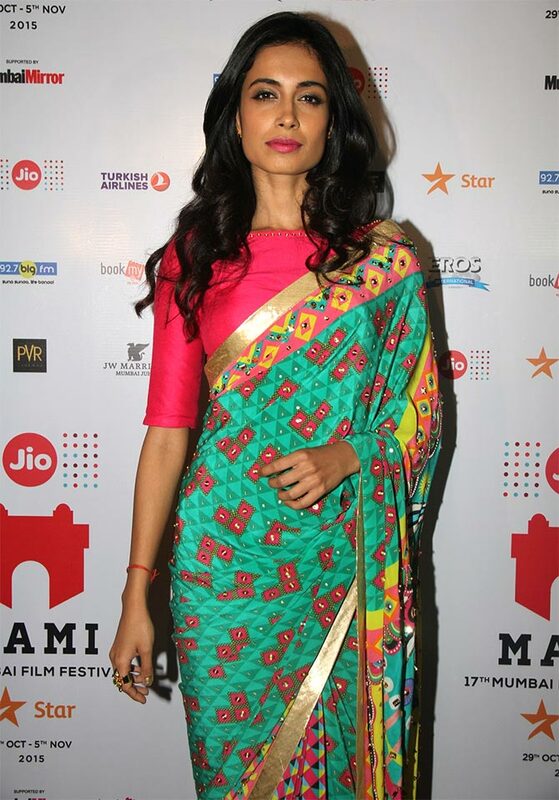 That's Sarah Jane Dias looking lovely in a Manish Arora number. If sari is not your cup of tea, wear a green brocade long kurti with a dark pink skirt. It's traditional and yet, so modern! That's Kareena Kapoor Khan in a Payal Khandwala creation. Television actress Shama Sikander gets her sporty look right in an olive green short dress. You can rock the dandiya party quite effortlessly in this. How about going for a mint green pant suit like Sayani Gupta? It's hatke but very comfortable. Add a dash of colour to your look, pick a blue crop top and pair it with a emerald green skirt. 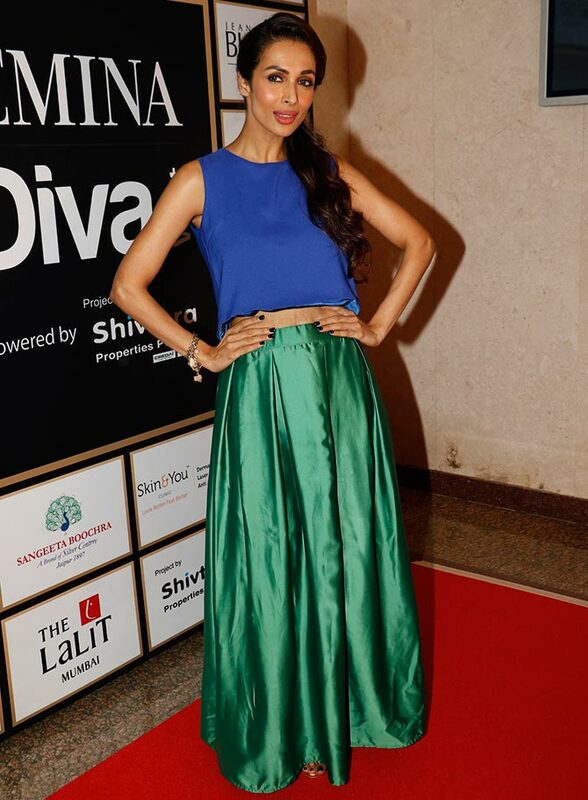 You'll look as beautiful as Malaika Arora Khan. Don't have any greens? Take a cue from Shilpa Shetty Kundra and just add a chunky green neck piece and clutch to your attire. And voila! You'll be ready to roll! Navratri Special: Amy, Alia, Shraddha in YELLOW!